The National Street Rod Association Committee is pleased to announce that the 2019 NSRA Fun Run will be held at Rutland Showground, Oakham, Leicestershire on the 14th, 15th and 16th of June 2019. 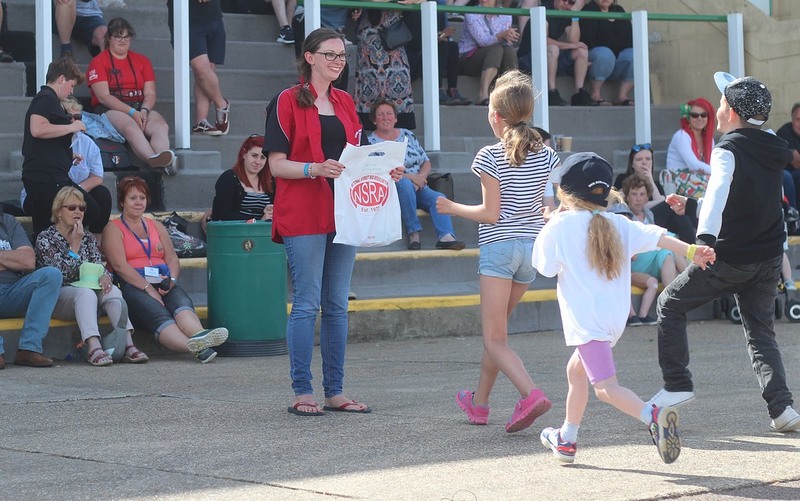 Over the past two years, whilst we have been holding the Fun Run at Great Yarmouth Racecourse, we have been working hard in the background to find a more permanent home for the event. 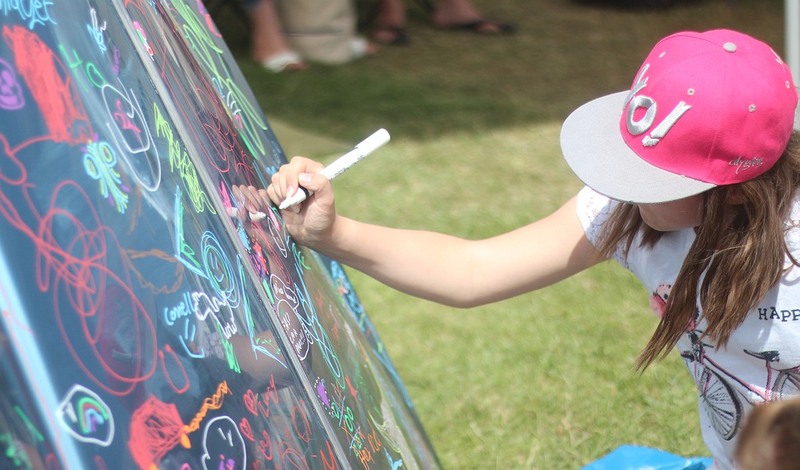 We have considered all options suggested, taken on board all feedback given by Members and believe that Rutland Showground is going to be a welcomed venue. This does mean, however, that we have to compromise on the event dates, moving the show two weeks later than usual. 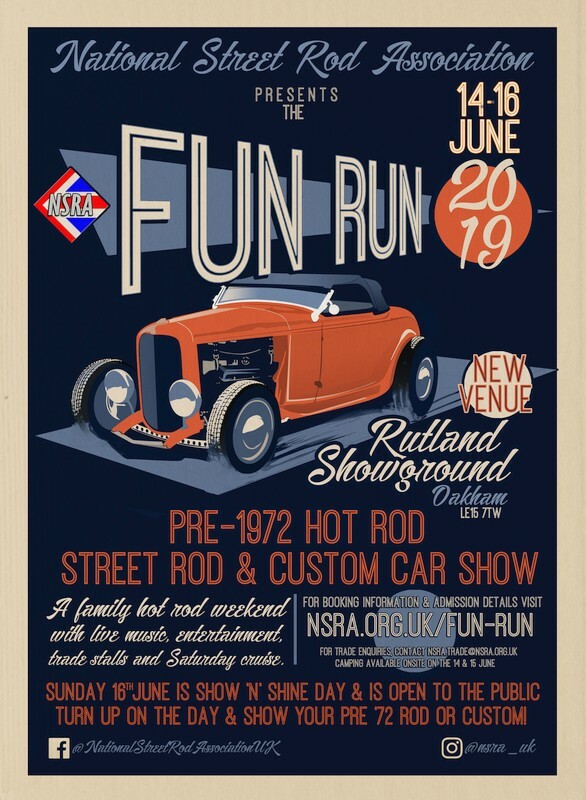 Booking is now open for the NSRA Fun Run, the UK’s longest running Rod and Custom car event, at a new venue, Rutland Showground, Oakham! The 47th NSRA Fun Run will kick off on the Friday morning with gates opening at 9am. There is plenty of camping available onsite as well as toilets and shower facilities – but no electric hook up. Friday is chill out day. 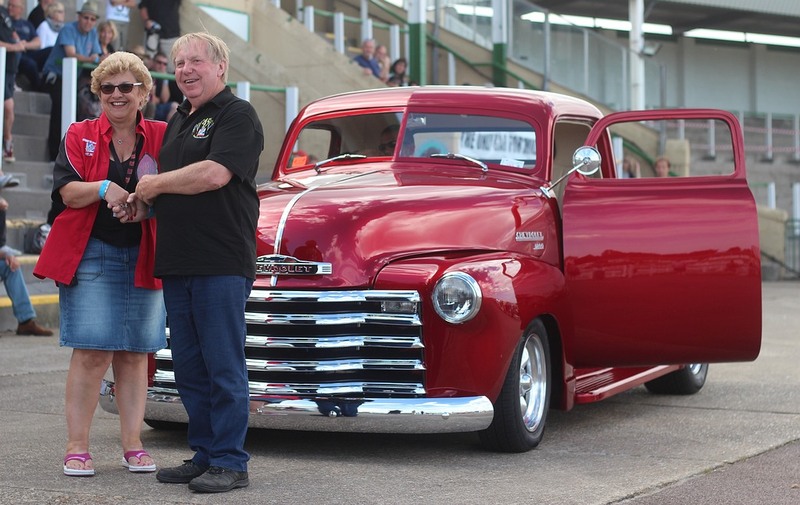 Pop into NSRA hospitality to register your show car and pick up your event mug, dash plaque and that collectable event T shirt. 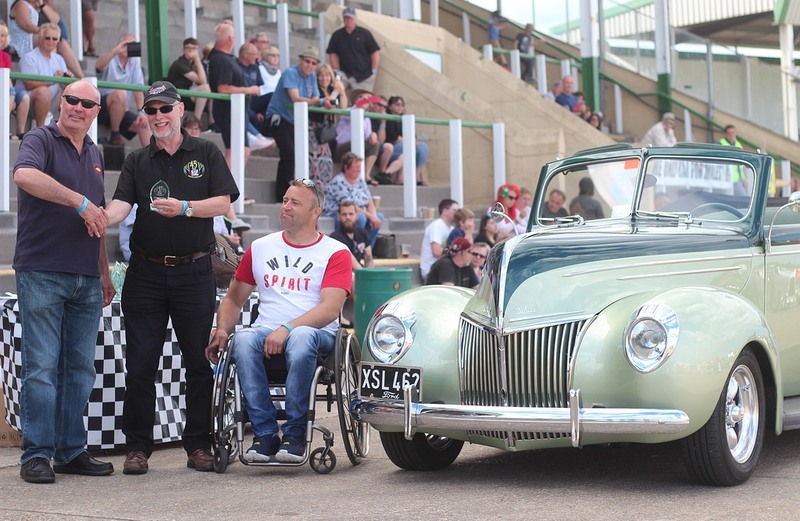 Our full range of official NSRA merchandise will be on sale too throughout the weekend, including a range of new items for 2019. Back at site, we are excited to be joined by the heady V12 Merlin engine that will be fired up each day during the weekend. 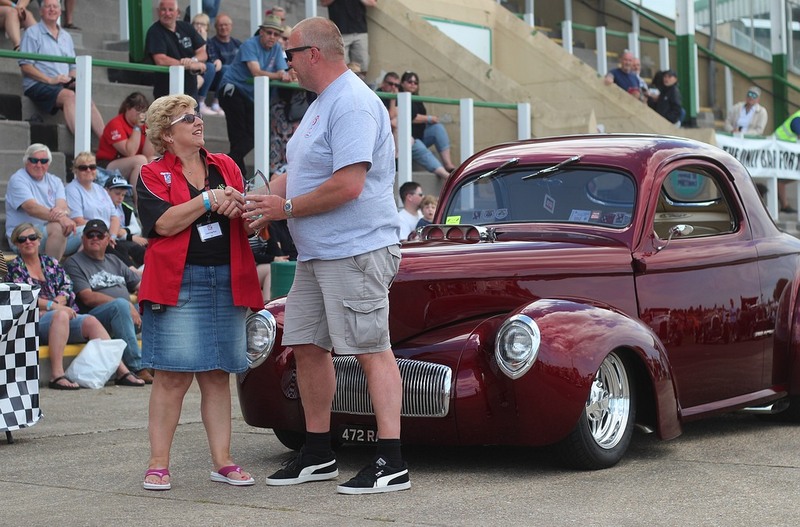 Then, after all that 27 litres of fun you might want to take a breather in the NSRA Pre-29’s vinyl chillout area – if you are an NSRA Pre-29 member, bring some vinyl along to play, a few drinks and chat cars. There will be plenty of food vendors on site too. In the evening why not bring a chair over to show field to watch the Bostin Brass Band who will be getting us all in the mood and the party started paving the way for Sammy’Jo & The 501’s later on the Pavilion Bar stage. Saturday morning starts off with our tot rod activity. 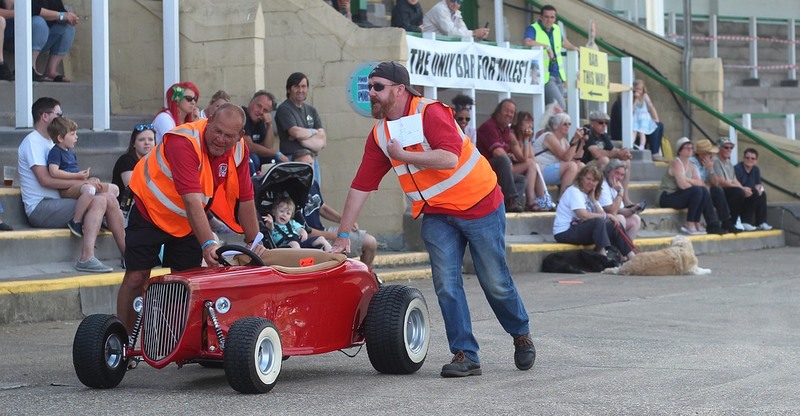 Don’t forget that all tot rods need to be registered with the NSRA – it’s free to do so and the kids get their very own ‘driving license’ too! The cruise will be leaving mid-morning which will take in some of the scenic sights of the area. The destination is yet to be confirmed but with Colin Ayres in charge, we know its going to be a good one. 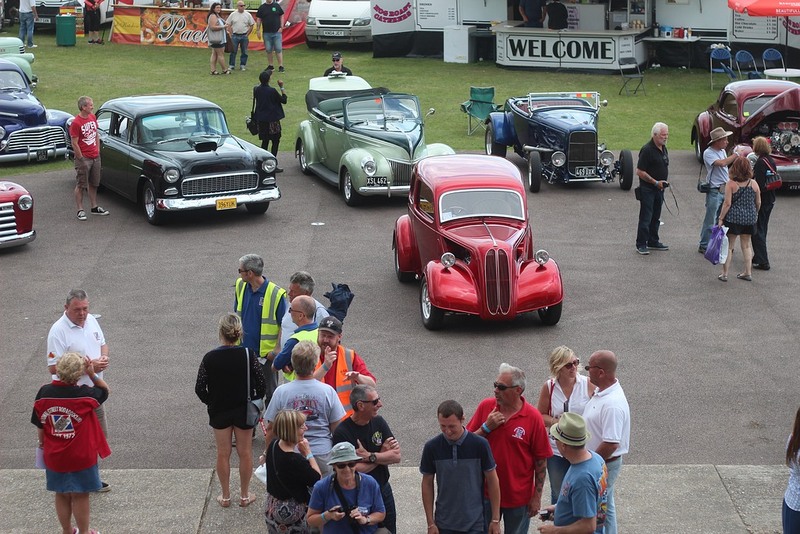 Once back at site, have a wander around the trade stands, catch that Merlin engine being fired up again or chill it down with the NSRA Pre-29’s. We are still working on Saturday’s band so keep checking our website for more details. 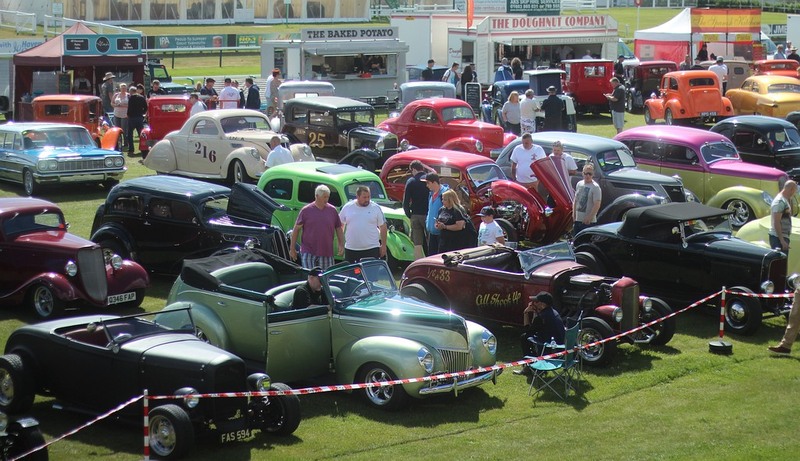 Sunday is show ‘n’ shine day and is open to the public. 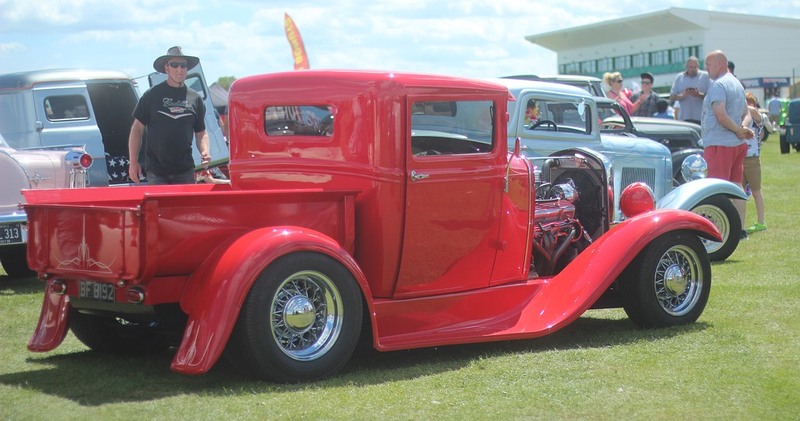 It’s also Father’s Day and what better way of spending time with your Dad than at a Hot Rod and Custom car show! 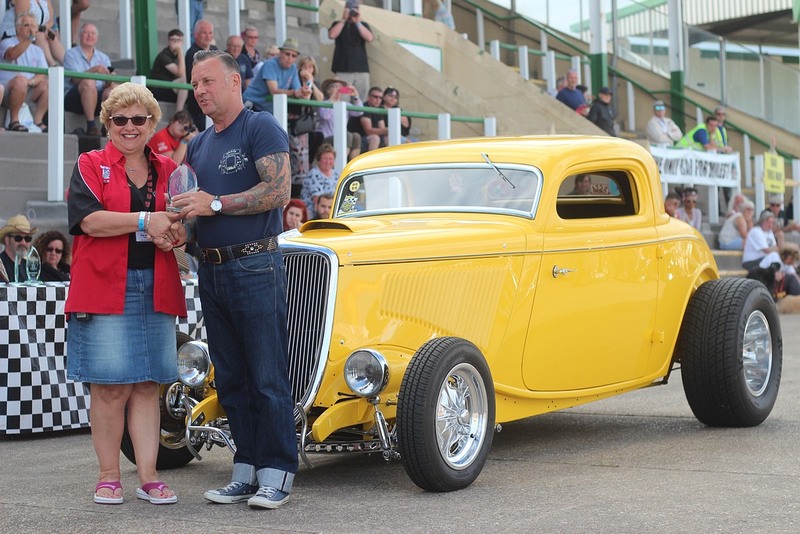 If you are just visiting for the day, don’t forget to register your show car in NSRA hospitality for your chance of winning a trophy. 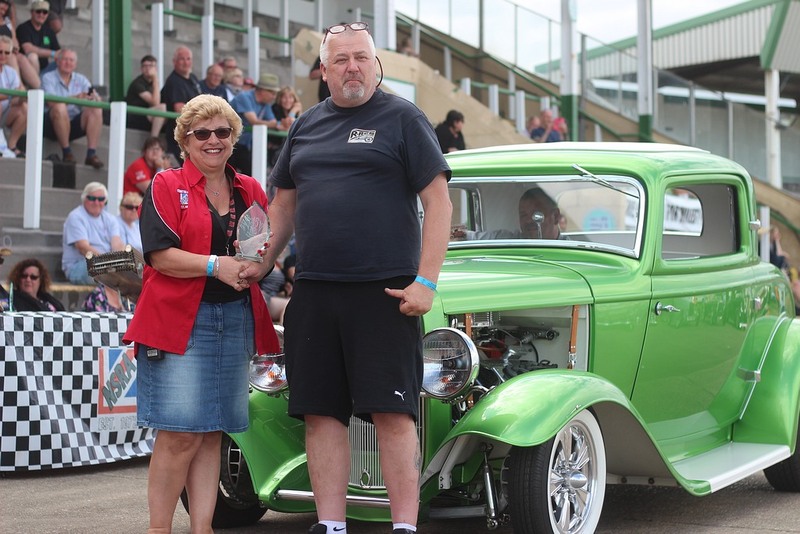 Our special trophy and parking category for this year will be ‘MorDor’ so if you have a family friendly four door into this show category. There will also be parking for the Under 29’s too. In 2019, we have a Popular & Anglia Anniversary. The Ford Anglia E04A turns 80 this year, the E494A turns 70 and both the Anglia 105e and Popular 100e turn 60 this year! So, help us celebrate all things Pop and bring the Pop Festival back to mark these significant birthdays. You know us, we are always Havin’ Fun As Usual and who knows, there may even be cake…? Entertaining us throughout the day will be John Price, our show compere. The Merlin engine will be firing into life once more and there will be activities for the children too. 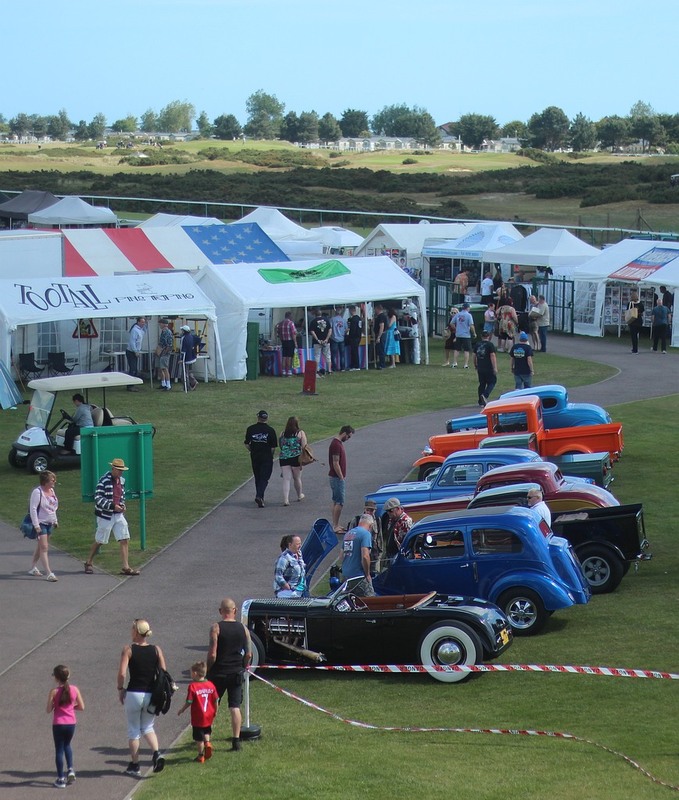 With trade stands to visit, food stalls, an ice cream van and licensed bar, it’s set to be a great day! The show will come to a close with our prize giving ceremony featuring the Participants Choice award and Top Five. Then it’s time to head home after a great weekend! All sounds pretty good right? 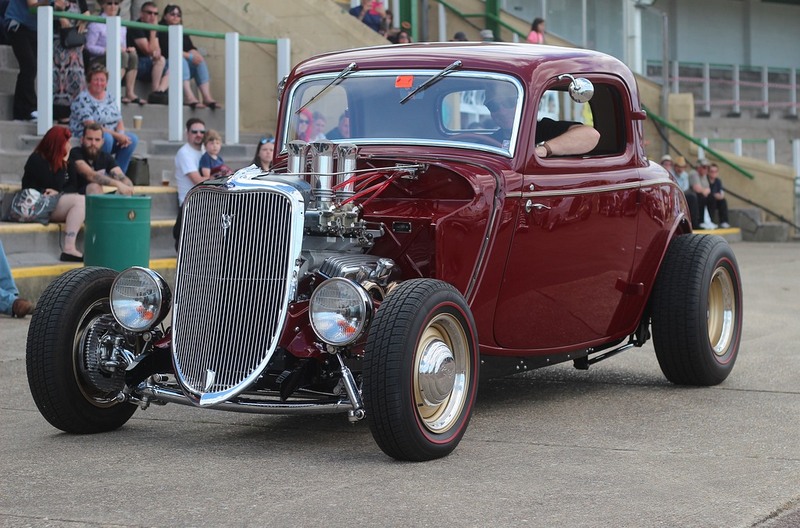 Pre-enter using the form included in the April issue of Street Gasser or download the booking form. Pre-entry cut-off date is the 31st May 2019, after this date gate admission prices will apply. Please note that there is no facility for online booking for this event. There is a BP petrol station directly opposite the entrance to Rutland Showground, with an Aldi next door. There is also Coop supermarket 1.2 miles away (LE15 7AA) and a Tesco superstore 1.9 miles away in Oakham (LE15 6BQ). Thanks go to Meguiar’s for providing detailing packs to go with the trophies. 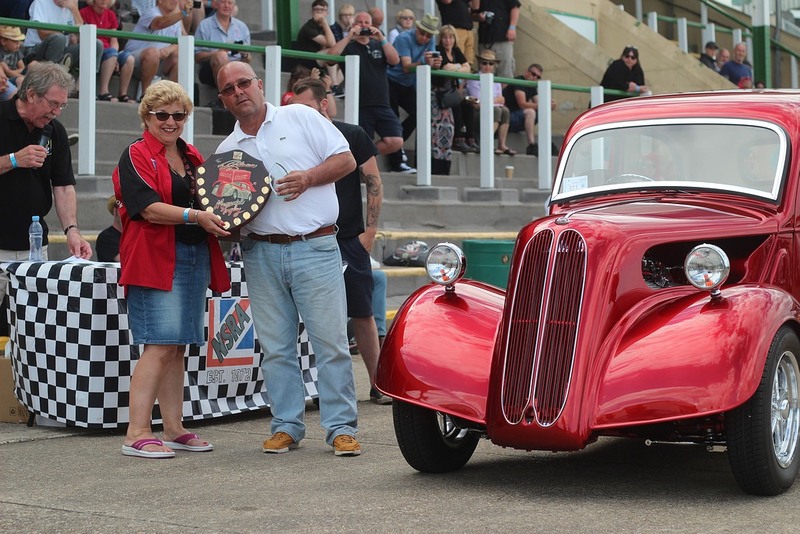 See you at the NSRA Fun Run in June 2019! > click HERE for further information and important conditions for this event. 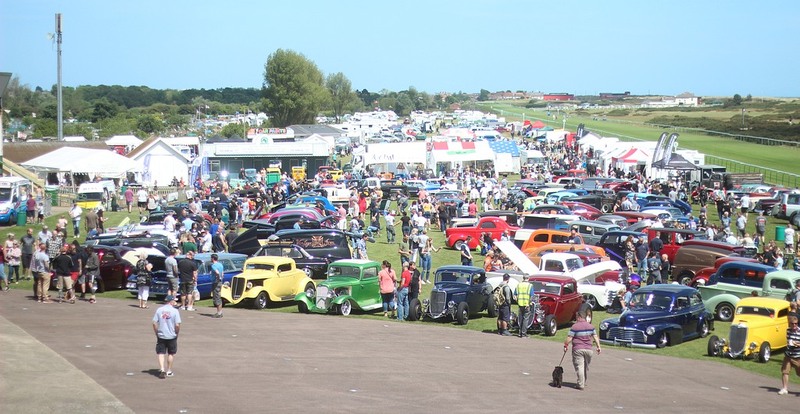 • If the weather is wet, movement of all vehicles will be limited due to the sensitive areas of the Showground. All event details are correct as of 27.03.2019 and are subject to change. 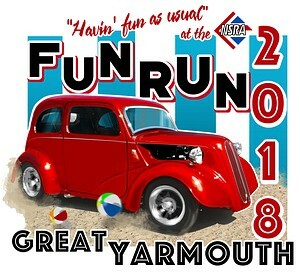 The 2018 NSRA Fun Run took place at Great Yarmouth Racecourse on the 1-3 June 2018. 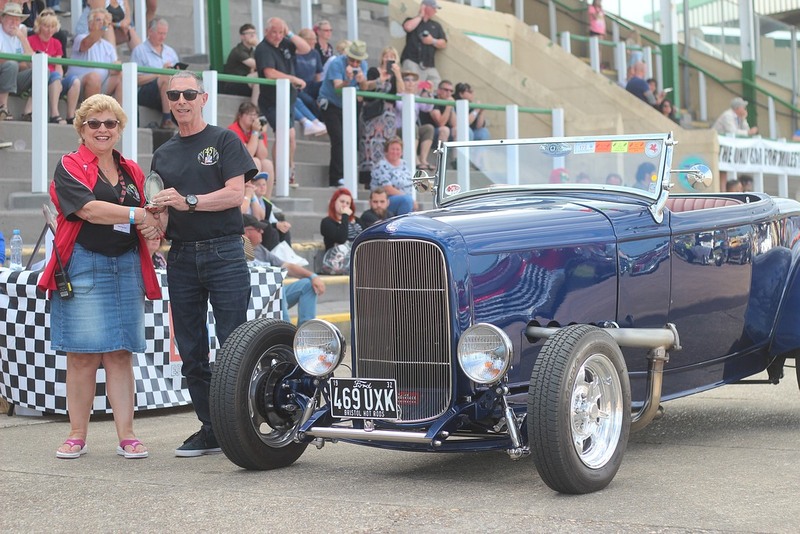 A fun Hot Rod weekend at the seaside for the whole family. Weekend activities, entertainment, trade stalls, live music & Saturday cruise plus an additional informal cruise on Friday. 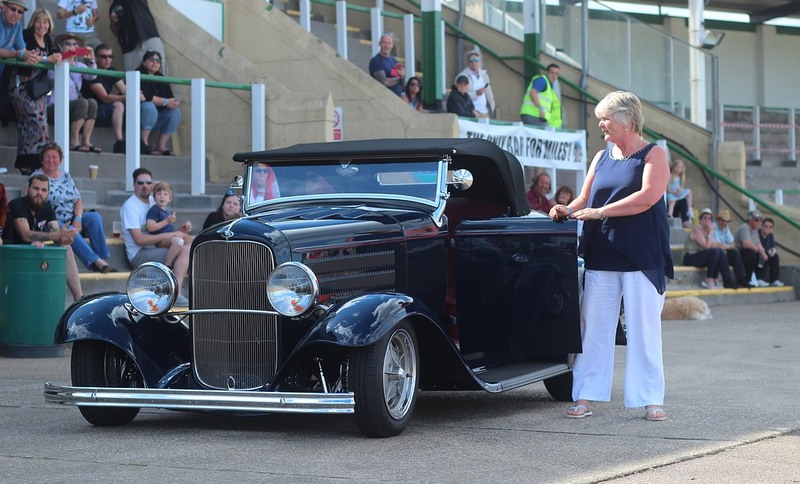 Huge show ‘n’ shine car show on Sunday for pre-1972 Hot Rods, Street Rods, and Customs. Dave & Elaine Craig from South Shields who took 14 hours to get to the Fun Run due to electrical break downs. Jill & Phil who looked after all the showers and toilet facilities during the event, keeping them in tip top condition. 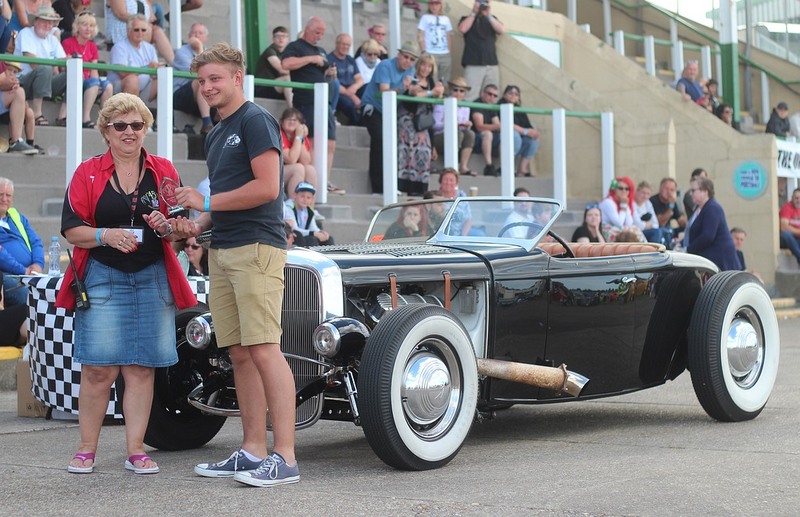 Vicky Stapleton was awarded the Soggy Special Award after getting drenched during the cruise in a roadster but was still smiling at the end. Winner of the Best Pants photograph from the Friday evening cruise was Angela Shanks. Winner of the NSRA Big Lick Selfie was Ian Guy. 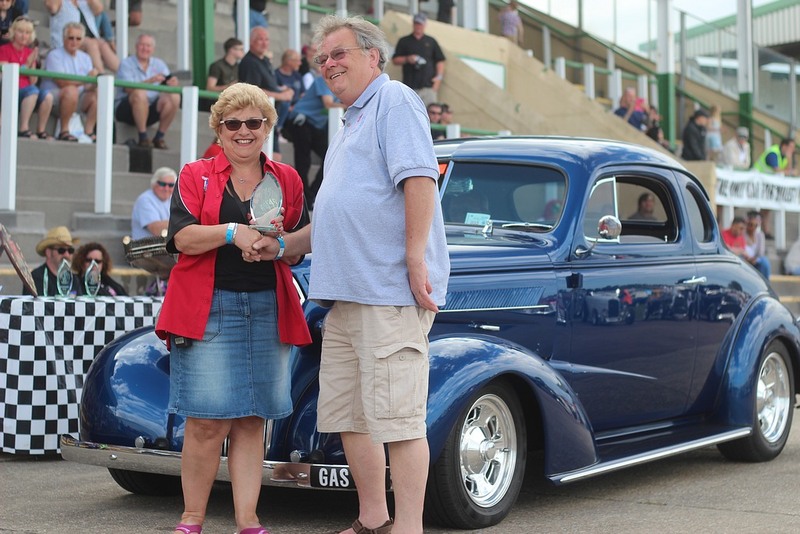 Winners of the Saturday Cruise Quiz were Geoff Caves and Gail Oldfield. A special thank you goes to Graham Rexon and Andy Mason who helped with the planning of the cruises. We would like to pass on our thanks to David Helsdon and all the team at Great Yarmouth Council, Jan Leeder, Michael Cole and Darren Layfield for all their help whilst we have been ‘at the seaside’. These people have helped us keep the Fun Run going, and for this, we are very grateful. We have really enjoyed our time at Great Yarmouth. Whilst we appreciate the location wasn’t suited to all, it meant that we have been able to keep the event going whilst searching for new options, and it has been great ‘fun’ trying something new and different. 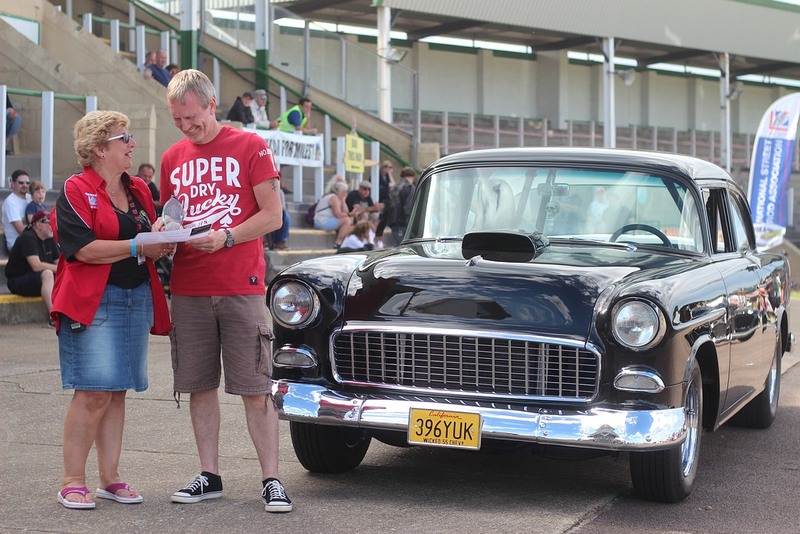 The 2017 NSRA Fun Run took place at Great Yarmouth Racecourse on the 2-4 June 2017. 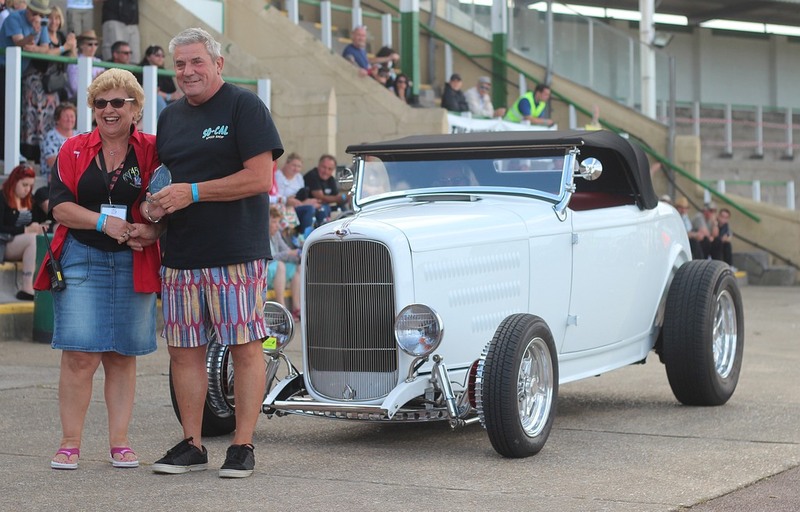 A great Hot Rod weekend by the sea!